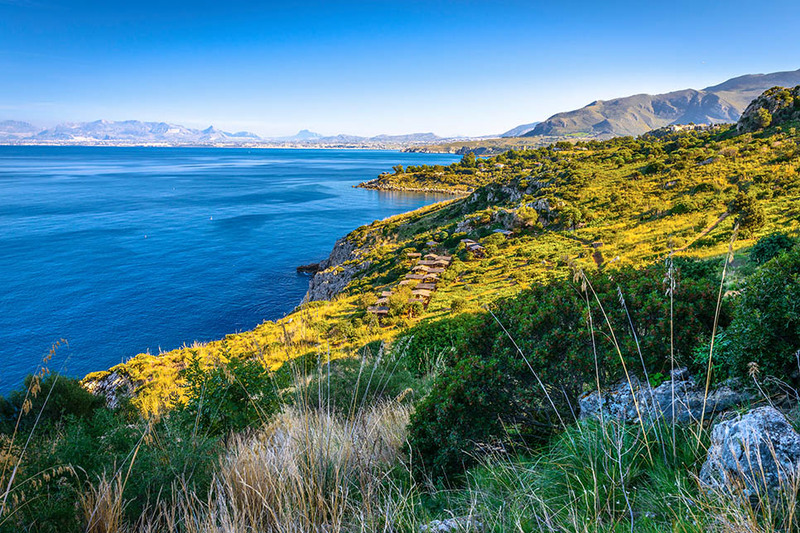 With pocket-sized pristine beaches overlooked by rugged cliff faces and windswept mountainsides with spectacular sea views, the Zingaro should be right at the top of the list of any holidaymaker to Scopello or Castellammare. 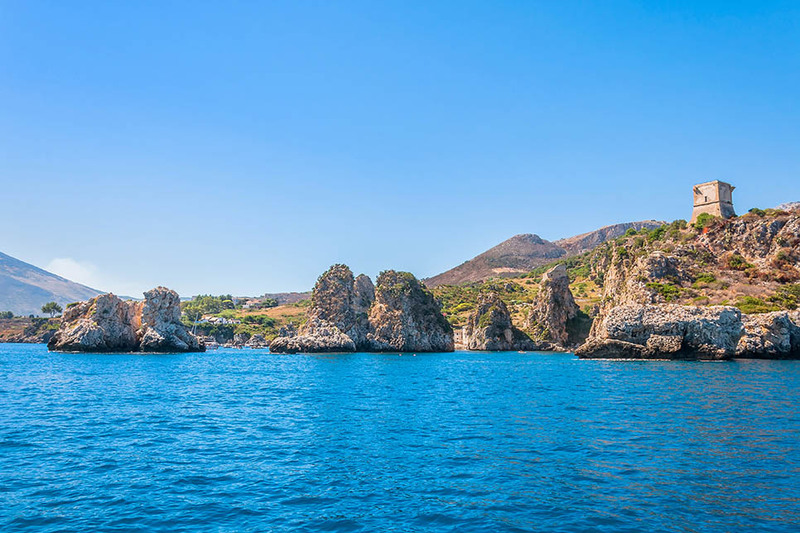 A winning combination of sea stacks in azure seas, grottoes and hiking trails through a rich variety of flora and fauna have all contributed to what is undoubtedly one of Sicily’s most spectacular locations. 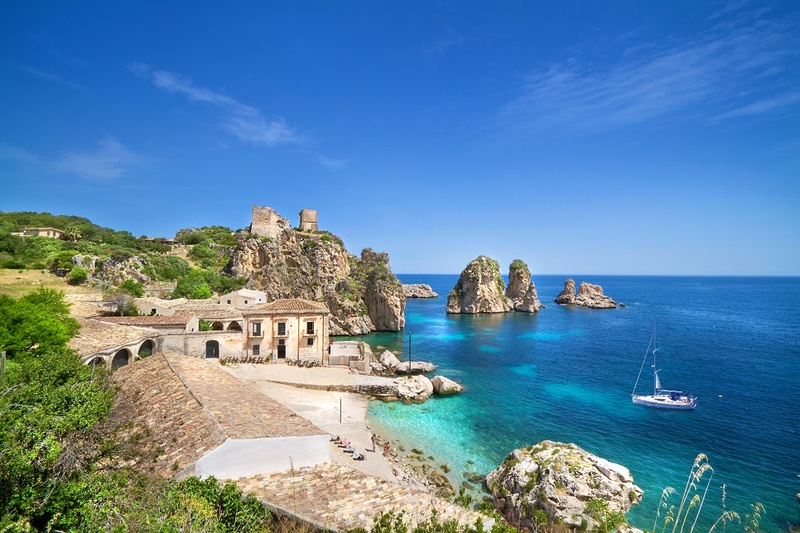 Inhabited for many centuries by small communities of farmers and by smugglers who used the grottoes as storage space, Lo Zingaro was Sicily’s first protected area, established as a nature reserve in 1981. 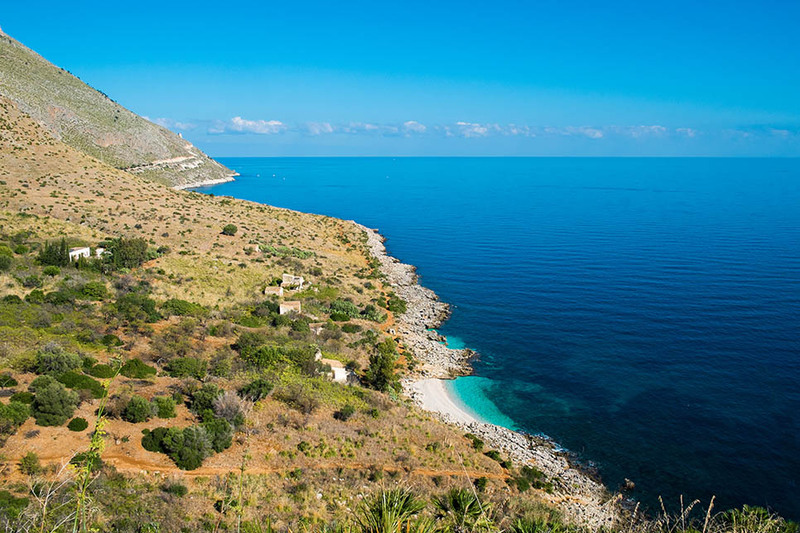 The reserve stretches for 7km from the village of Scopello in the east to San Vito Lo Capo in the West. 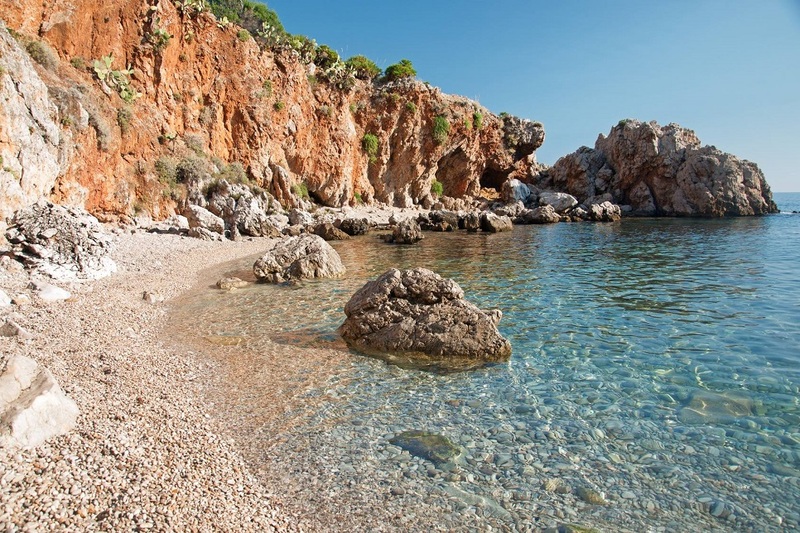 Most visitors come for the beaches, which are generally pebbly with clear turquoise water. 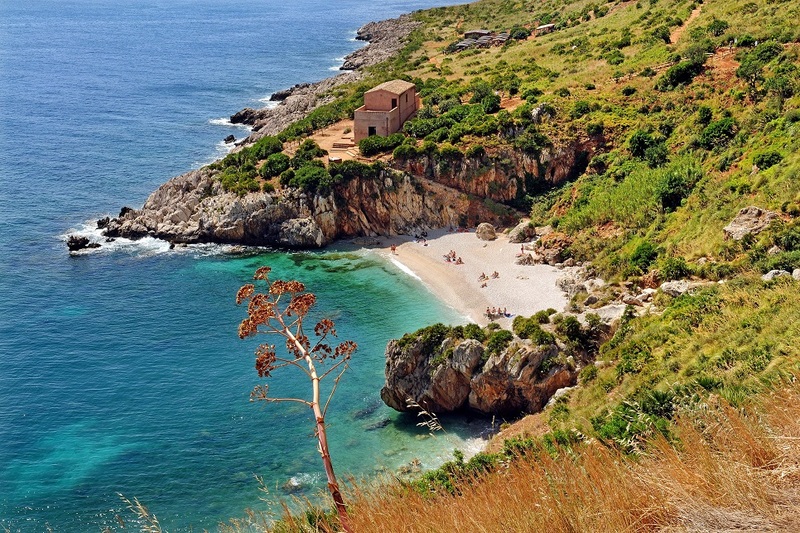 Punta della Capreria is the first and as a result the most popular beach while successive beaches at Cala della Disa, Berretta, Marinella and Torre dell’Uzzo are naturally quieter and a good alternative to some of the other local beaches that are busier in high season. 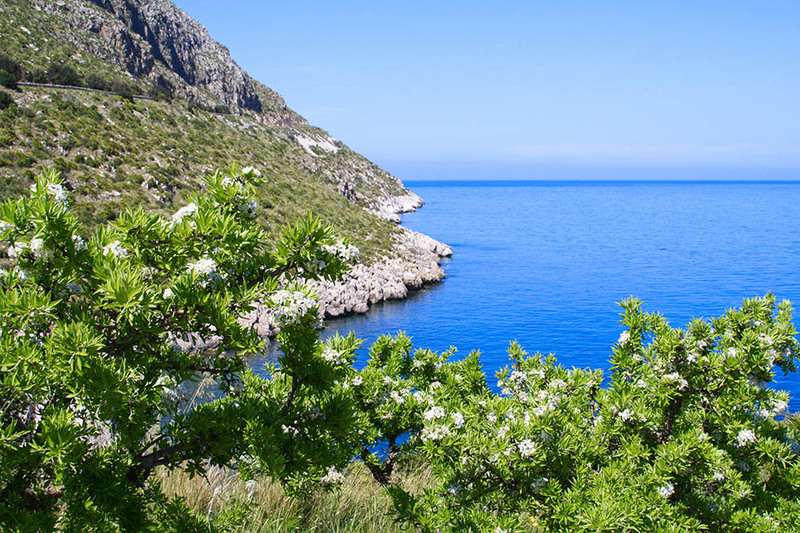 There are plenty of good hiking trails and if you visit in Spring, you will get the most of the flora and fauna. 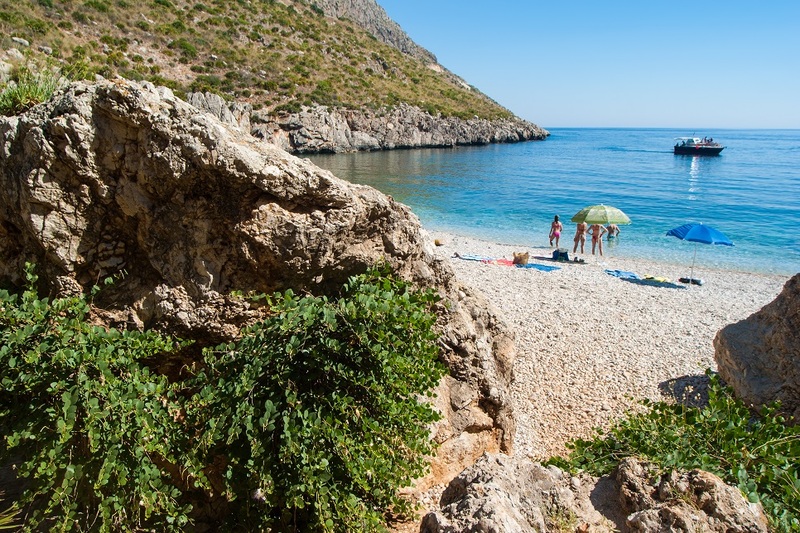 Boasting around 650 species of plants, trees and shrubs thanks to a humid microclimate, paths are lined by dwarf palms, orchids, crocuses and colourful wild flowers and a rare type of sea lavender. 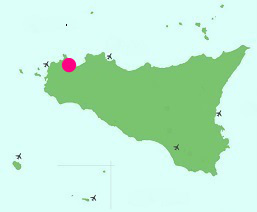 Birds such as peregrine falcons, eagles and owls and animals such as lizards, hedgehogs also inhabit the reserve. 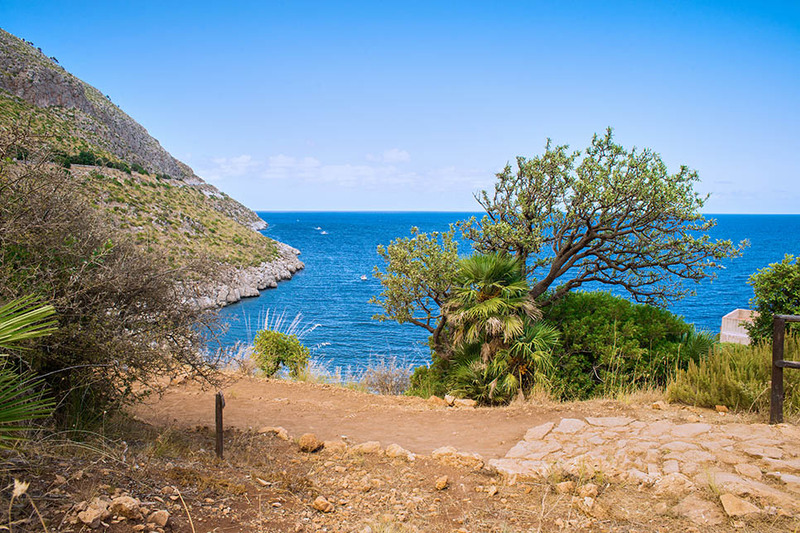 There are two entrances to the park, the most popular from the coast road that ends just beyond Scopello, the less busy entrance close to San Vito Lo Capo in the north. 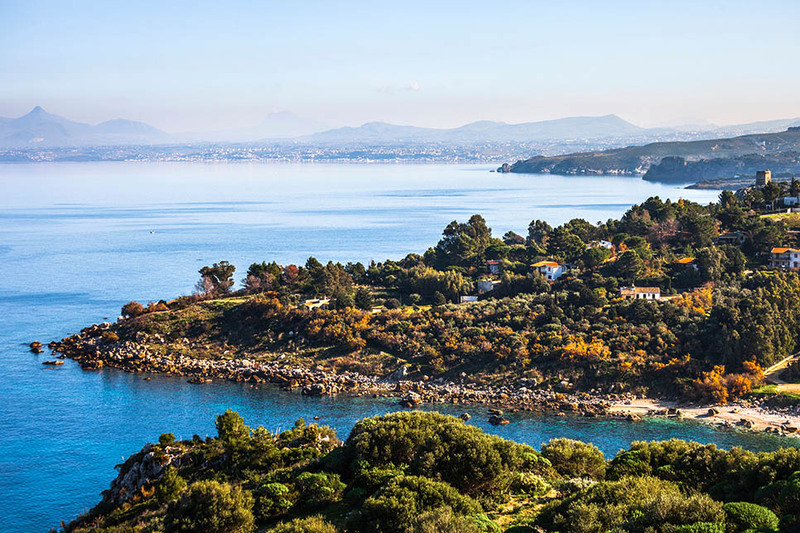 There is a car park and information centre near to the Scopello entrance.